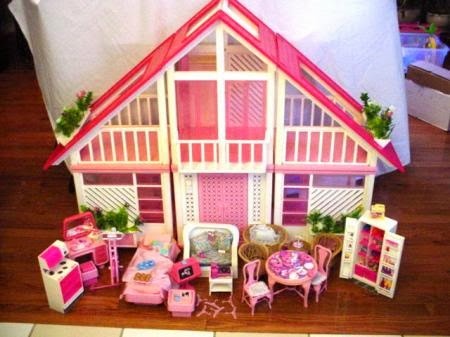 Growing up I had a serious Barbie collection. Like every girl's dream. but I collected Barbie's and I LOVED them. In fact I probably would have played with them well into my teenage years if no one had told me otherwise. Honestly I could keep going because I have so.much.more. The best part? My mom saved it all for me for my own children one day. 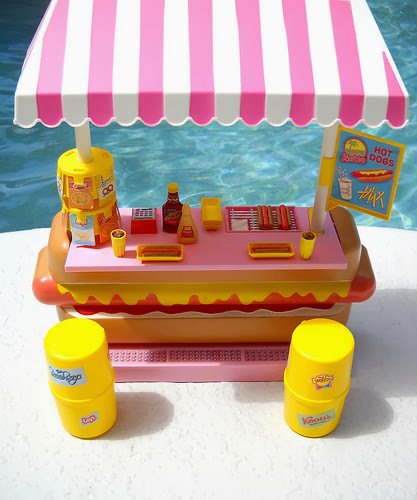 And on top of all the Barbie items I have, add in countless Barbie dolls, clothing, Ken (only needed one!). It's a small empire. Yup have him and his boom box still! When my sister, Jennifer, found out she was pregnant I was only 23 so I told her that my Barbie collection was off limits regardless of what gender child she had. I know it sounds cruel but I really wanted something of mine for my own children one day. And I wanted it to remain in relatively good shape. Did I put a curse on them? Possibly. But hey my Barbie collection is still intact. The whole reason for this post. 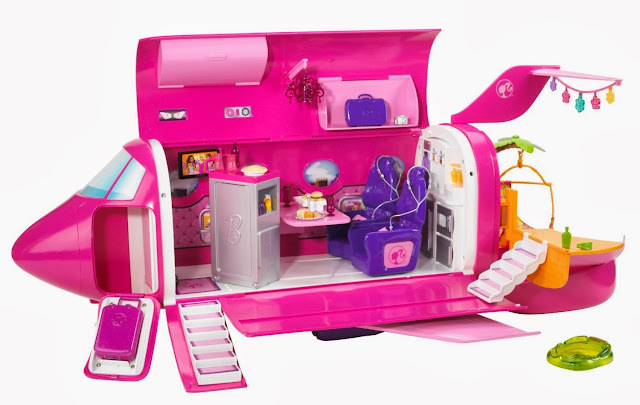 Barbie now has a private jet and I need it for the collection! Oh my gosh, I was a Barbie lover too!! My mom sold a lot of my stuff though at a garage sale! Boo! She also sold my dance costumes which actually made me cry because I wanted my little girl to play dress up in them one day. I wasn't even sure Barbies were still big until my Goddaughter was playing with them! 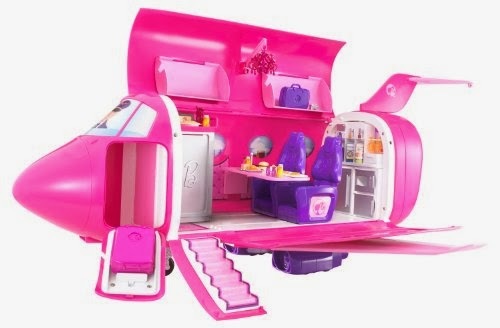 Holy adorable Barbie jet! haha! Private jet?? WTH!! I would have been all over that! I was a Barbie-a-holic too! For some reason though my parents would never buy me any of the houses. 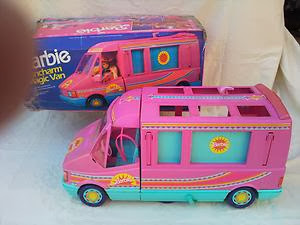 My Barbie family lived in the camper but drove a vet! I think a lot of mine got thrown out because we had them stored in storage garage and there was some sort of leak in there and all of that stuff got ruined from what I recall? Me too!! 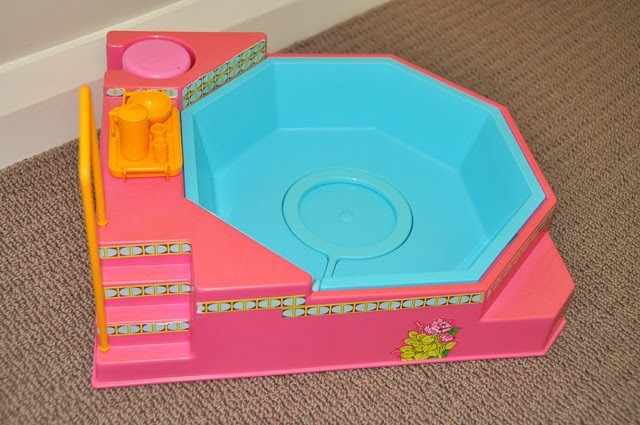 My mom and dad's basement is FULL of huge tubs of my sister and my enormous Barbie collection :) Houses, cars, stores...there is probably a bin full of just clothes and shoes ;) We LOVED them, used to literally play for hours on end!! bahahaha. I LOVEDDDDD barbies! I totally get protecting your collection ;) Those nephews of yours sure are cute, though! Haha. Love this. Oh what memories. I had the corvette. LOVED it! O-M-G this had me SMILING from ear to ear. LOVE LOVE LOVE this. My sister and I were nicknamed Barbie and Skipper on the school bus cause we had bright white/blond hair and we are so close in age (~1 year). BUT, I had to be SKIPPER :( not BARBIE! Hahaha! 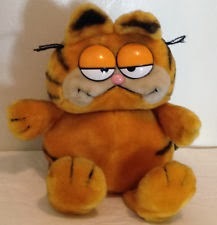 Garfield collection? :) I had tons of Strawberry Shortcake and Cabbage Patch Kid stuff, but now I kinda want the jet for myself. haha, I just laughed all the way through. You're a girl after my own heart! Wow this post brings back so many wonderful memories, I love it. 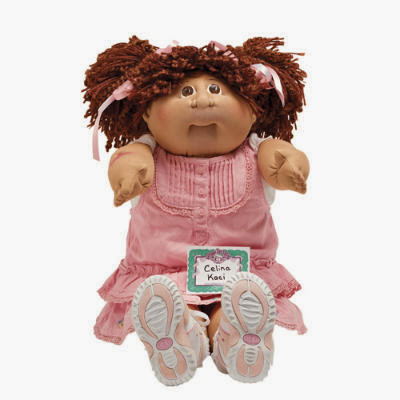 I once had a school teacher that collected Garfields... And cabbage patch kids were so cool. I definitely loved Barbies the most. How amazing is the Barbie with the incredibly long hair! Haha we collected Barbies and Polly Pockets, but your collection takes the cake! Hopefully you'll have a little girl one day to pass it onto! 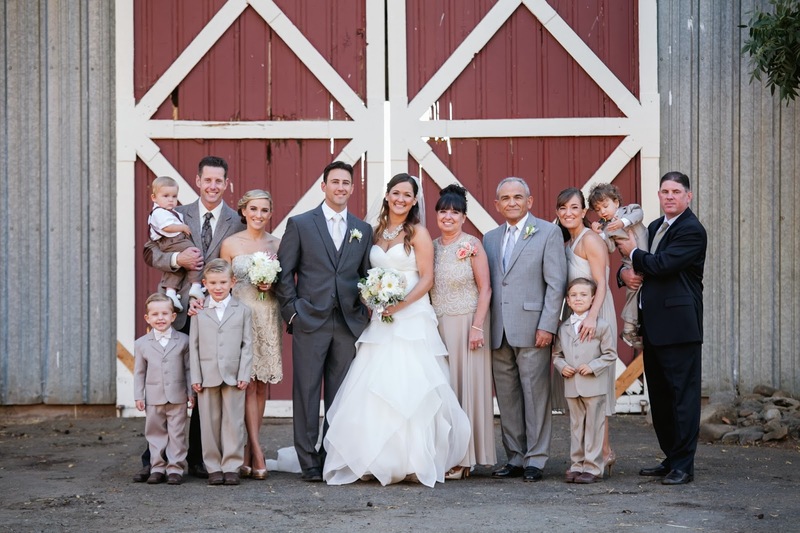 And my sister's name is Danielle too! I was a big Barbie collector too and my friend and I secretly played with them in middle school sometimes! I have to say I didn't have as much stuff as you! You know you're destined for a girl now! I also played with Barbie until I was about 13, I would play with them today if they weren't all packed up! I had totally hair Barbie, her dress was my favorite! I also had a house, a camper, and a convertible. Sounds like if we got our collections together we'd have a kickass Barbieville!! My sister and I collected Barbies and we had so many!! We had 2 of the corvettes and we had the townhouse thing with the elevator- it was awesome! Fun fact: the outfit on Totally hair Barbie was my most favorite Barbie outfit ever and I used to tell my mom I was going to have one just like it when I grew up, haha! OMG this brought back so many memories! I'm pretty sure I had the hair Barbie because that dress looked so familiar. I also remember one day I just decided to cut two of my Barbie's hair. My mom was displeased, to say the least! between my sister and myself we grew our barbie empire to a total count of 32 + 1 ken. haha! I stll have 3 of my childhood barbies, though I know I had alot more. 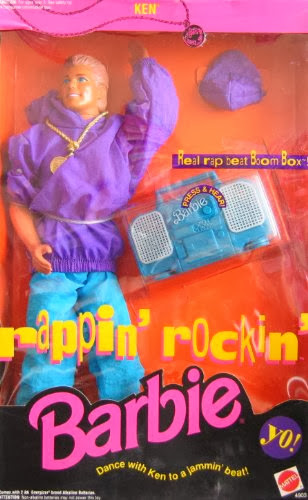 I currently still have my Belle Barbie, Valentine's Day Barbie, and some kind of Rockstar Barbie. :P They just so happened to be the last three barbies I received when I decided it was time to "grow out" of them. 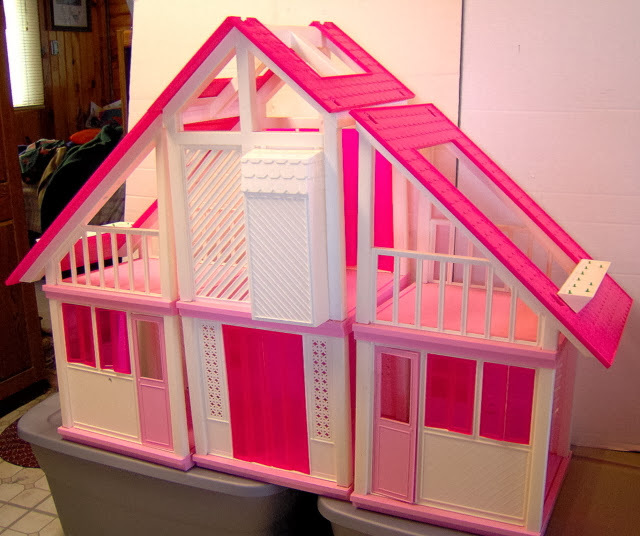 Those play houses were so cool!